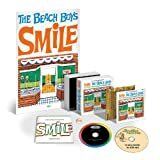 You have to SMiLE at the thought that 43 years after the Beach Boys’ album SMiLE was supposed to be released, an official version in more than one form finally came to be … on Halloween, and in the UK no less. In the United States, the release came 1 day later, on November 1st, the end of the hurricane season in the ‘Atlantic basin’. Just yesterday I ordered the 2 CD version from the Beach Boys site. I paid extra for the version with a SMiLE T-Shirt. I don’t want to just ‘look, listen, vibrate’ and SMiLE’ I want to wear it, too! There was a time in my life when I would sit at a piano all day and play various chord combinations, without really knowing what chords I was actually playing. Later, I did the same on guitar. I wasn’t looking for a particular mathematical permutation of notes, but rather I was looking for a feeling, a sensation, perhaps even a ‘movement’. In musical terms, this would refer to a “self-contained part of a musical composition or musical form”. For example, on a guitar, pluck the chord Asus2 and let it resonate. To me, such forms don’t necessary come in a string of notes played across a few bars…. but rather in a single blast … a Big Bang, if you will. Listen to the seminal chord progression struck by the Beach Boys vocals in the album’s opening track, Prayer, and you’ll understand. It’s hard to describe what it feels like to get lost in a chord for hours on end. I’ve experienced it. I can relate. It is a life defining moment. For me, so is listening to SMiLE in all its forms. I’m not ashamed to say I grew up listening to the Carpenters. Yet, it wasn’t just Karen Carpenter’s lush vocals that resonated within me … it was the multi-part harmonies her brother Richard arranged that also did a number on me. When asked for the influences that inspired him musically, he offered what he described as “the 3 Bs”: Bach, the Beatles, and … the Beach Boys. Lord, even the Beatles were inspired by the Beach Boys, or more to the point, Brian Wilson. Interestingly enough, my middle name is Leonard. My mother, a former opera singer, named me after Leonard Bernstein, the famed conductor and composer. In a segment for his CBS special: “Inside Pop: The Rock Revolution”, he featured Brian Wilson performing a partial solo version of “Surf’s Up”, what some refer to as the centerpiece of SMiLE. In the segment, taped during SMiLE’s studio sessions, songwriter and song merge with lyrics and piano. What results, at least for me, just defines and defies nirvana … even existence. Bernstein, quoting the show’s producer David Oppenheimer, described the song as “poetic, beautiful even in its obscurity”. I prefer not to get into the legend and lore of SMiLE. It’s not something I think I can summarize any better than what has already been written by others. If you have any interest in SMiLE, you obviously already know the tune. For the uninitiated, I’ve included some links below for further reading. Suffice it to say that it was supposed to be, but wasn’t, and eventually over the years evolved into something of Holy Grail significance. SMiLE is different things to different people. It is a force that has continued to defy reality and expectations … from conception to inception and beyond. Music is heavenly. One of my favorite singers and composers, Laura Nyro, used to describe her music in terms of color, complete with hues and shades. Listen to her albums “Eli and the 13th Confession” or “New York Tendaberry” and you’ll understand. Listen closely and in parts you can almost ‘hear’ the colors of “red yellow honey, sassafras and moonshine” … or stained glass windows. With SMiLE, Brian Wilson endeavored to create a “teenage symphony to God”, and early on nicknamed the effort “Dumb Angel”. He spoke of desiring to write music that people might one day pray with. As far as I’m concerned, he came pretty close. 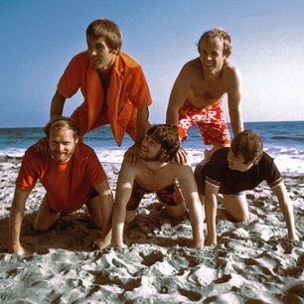 Building on his creative and innovative studio techniques and musical concepts he crafted for his previous album, Pet Sounds, Brian desired to evolve his music even further; an undertaking which would have most likely elevated ‘pop music’ to a new form. His initial result, the smash hit Good Vibrations, has often been described less as a pop song, and more of a pocket symphony. SMiLE, as a complete album, would have transcended even this. In my opinion, Brian’s 2004 SMiLE release did. The big question: would SMiLE have blown the Beatles’ Sgt. Pepper away? The answer is truly a matter of personal taste and individual differences. For me, the answer would have been a resounding YES. For others, perhaps not. I love the Beatles, and would even say that their musical output as a whole has impacted me to a greater extent than the Beach Boys. Yet, as a “concept album” I still can’t relate to Sgt. Pepper. I’ll play Revolver and Rubber Soul over and over and over again, and I can say the same for the many incarnations of SMiLE over the years … but not Sgt. Pepper. 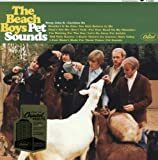 I listen to Pet Sounds in a single bound … and can even listen to the Jugmonger’s ‘concept album’, Live At The Hootenanny, end to end … but not Sgt. Pepper. It’s one thing to share in the elation the music of SMiLE brings, because words don’t do justice to what the music conveys…. but SMiLE has words too. Written by lyricist Van Dyke Parks in collaboration with Brian Wilson. Now, I call myself a writer. In fact, I write songs, too. Yet, I write lyrics, more than I write poetry. Van Dyke Parks does both … and his literal contribution to SMiLE are part and parcel of its magic, mystique, splendor and glory. As a teacher trainer for teachers of English as a second or foreign language, one of the methodologies I talk about is called ‘Total Physical Response’ (TPR). In a nutshell, it’s a methodology aimed affecting a student’s senses, involving both verbal and physical activities. This sums it up best: Look! Listen! Vibrate! SMiLE! The music of SMiLE swirls around you, creating an aural landscape of texture and vibration. The lyrics allow you to open your mind’s eye and see on a different level and dimension. In the song Surf’s Up you not only can hear “a muted trumpeter swan” … but you can see the “dove nested towers” and even the “columnated ruins domino”. It’s powerful, if you open yourself up to it. Hallucinogenics not required. What you will hear … glory, euphoria, spirit, madness, mayhem, humor, reverence, nostalgia, Americana, and bliss. If you would like to hear what “Purple Mountain Majesties” sounds like … listen to SMiLE. What you will hear is humanity, both physical and metaphysical. What you will hear is the spirit of our greatness that transcends our collective unconscious. You will hear pop music evolved to classical music and back again. Who Ran The Iron Horse? Here at the Wooly Yarn, I often write about “Defying Expectations“. SMiLE, in all its forms has never disappointed. I’m not under any illusion that the SMiLE Sessions is SMiLE as it was supposed to be back in 1967. It’s not. But it is what it is and just another part of its history. 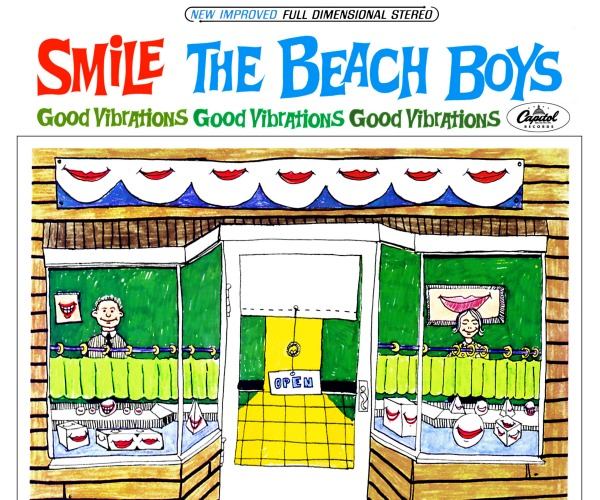 I’ve heard that back in the day the song Good Vibrations alone represented over 90 hours worth of recordings … and that was before the actual SMiLE recordings really commenced! Even the Smile Sessions Box Set with five CDs, two vinyl LPs and two 7″ singles is only representative of what was recorded and what might have been. There’s still more out there that will keep the bootleggers busy at least until 2067. The myth and mystique of the 1967 SMiLE remains. It’s still out there, never-ending and twisting in the wind like ‘wind chimes’. In this sense, my preferred bootleg version of SMiLE (Odeon) continues to capture my mind and soul and pluck at my heart strings. By the same token, Brian Wilson’s 2004 completed version of SMiLE continues to defy my expectations and yield satisfaction and a sense of accomplishment and wholeness. PS. Want more SMiLE? Listen to Pet Sounds. Listen to Brian Wilson’s Pet Sounds Live. 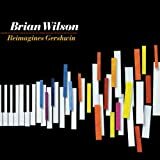 Listen to Brian’s George Gershwin tribute, “Brian Wilson Reimagines Gershwin”. Listen to anything he has done with the Wondermints and Darian Sahanaja, still an unsung hero in all of this. Listen to the Four Freshman. Brian did. Read anything Domenic Priore has written, especially Look, Listen and Vibrate. Listen to That Lucky Old Sun, a later Wilson-Van Dykes collaboration. What an amazing review. I never knew about Smile, but I don’t claim to know too much about the Beachboys. I shared this on FB for you! Thanks for your comment, Nicole. Besides the music, this is all really an amazing story that began way back in 1966-67 and continues to unfold. Truly a story of musical genius and triumph over adversity. This actually has less to do with the Beach Boys, and more to do with the ups and downs of Brian Wilson’s life.